So, one of my latest projects has been going through our Wonders language arts curriculum and really dissecting the writing and grammar portions. I have put together 4 of the 6 units so far. Each unit is broken down into 6 weeks. 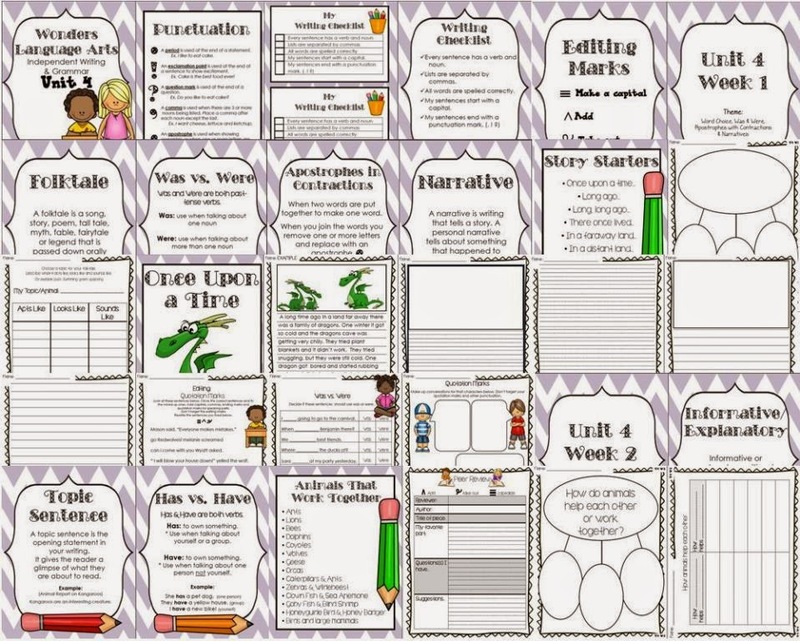 I have put together brainstorming, graphic organizers, prompts, papers, key idea posters and 3 grammar practice worksheets for each week. The great thing about these units is that you don't need to be doing Wonders for them to be beneficial to your writing program. Since making these units my kids are getting through the process like never before. They are understanding the expectations and steps and really enjoying it. I am so glad I decided to make these units!